Which are the Best Cricket Stadiums in the World? Fans cheering from the back, an indomitable wall, the 12th man of the game. Cricket is a game of emotions as much as it is a game of the bat and the ball. And the true emotions that are on show, on the pitch, are embodied by those in the stands. Stadiums, as they say, pack the 12th man of any game. Cricket is no different. Watching the game on the TV is one thing, but coming out to witness the game in all its glory, on a fine sunny afternoon, is incomparable to any other experience that you can have as a sports aficionado. When you talk about the home of the spectator, you have to begin with the ‘home of cricket.’ After all, Lords is where it all started. The Lords is perhaps the most iconic cricket stadium in the world, and has witnessed some of the greatest matches in the long history of the game. Every cricket fanatic in the world wishes to see the game of cricket being played on a fine sunny day in the lush meadows of The Lords. This makes it perhaps, the best cricket stadium in the world. After the ‘home of cricket’ let’s visit the biggest cricket stadium in the world: the MCG in Melbourne. The history that it has captured within its confines, dates back to the 19th century when the legendary rivalry between England and Australia was born. MCG was there to witness the genesis of a quintessential rivalry in cricket, and it is still there as a reminder that it will always find a place in the eternal folklore of cricket; deservedly the second best stadium in the world. We all are familiar with the iconic Colosseum of Rome. 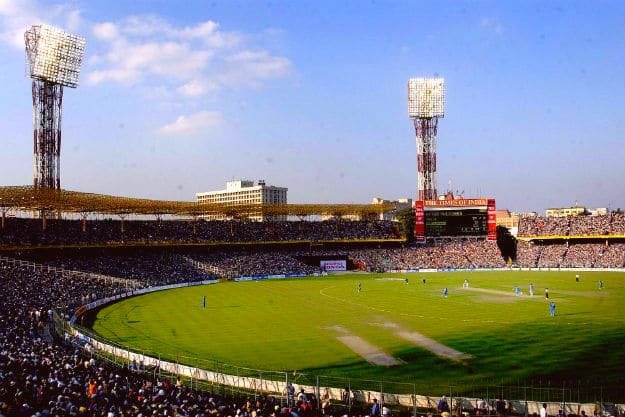 What if we told you that a cricket stadium exists which has been dubbed as ‘Cricket’s answer to the Colosseum?’ The Eden Gardens in Kolkata is India’s most elite cricket stadium and has a capacity to hold 90,000 spectators; which makes it the second largest cricket stadium in the world. Just like gladiators used to fight in the Colosseum, the Gardens has seen several arch rivalries come head to head. It is only symbolic that Eden Gardens is likened to the Colosseum. While the stadiums before this made it to the list because of the history they share among themselves, Sri Lanka’s Galle International Stadium is here for a completely different reason. Imagine sitting in a stadium with a 16th-century Duct fort overlooking the Indian Ocean as you watch your favorite stars play. 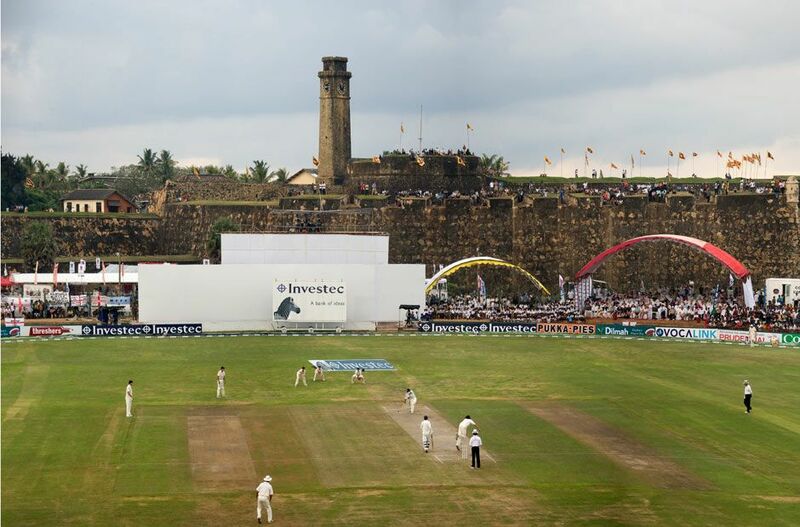 Galle is one of the most beautiful stadiums in the world due to its picturesque and engaging location. Just like the Galle International Stadium, HPCA’s cricket stadium in Dharamsala is one of the most beautiful stadiums in the world. First, it is located at an elevation of 4,110 feet that makes it the world’s highest international cricket stadium. Apart from that, at a simple look of the stadium, you can see the snow caped Dhauladhar Mountains covering the ground as if embracing the entire stadium with a mystical charm. So, there you have it, the best cricket stadiums in the world. If you want to add more to this list, let us know in the comments below. Melbourne Cricket Stadium is the biggest cricket stadium in the world. It has got a capacity of 100,024 people. It is located in Melbourne, Australia. There are many Cricket stadiums in India which are also included in the noteworthy “largest cricket stadiums in the world” list; these are namely: Eden gardens in Kolkata, India; Raipur International Cricket Stadium in Maya Raipur, India.